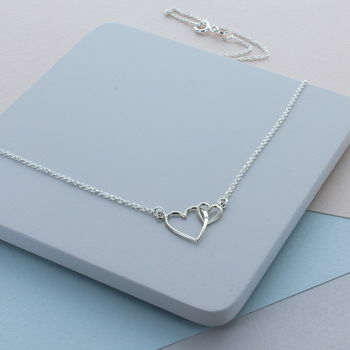 A unique and minimal sterling silver necklace featuring small and large interlocking moving hearts. The sterling silver infinite heart charm necklace would be a perfect gift for any age. The silver hearts sits centrally on beautifully delicate sterling silver trace chain. The necklace is finished with a simple spring clasp making it very easy to put on. 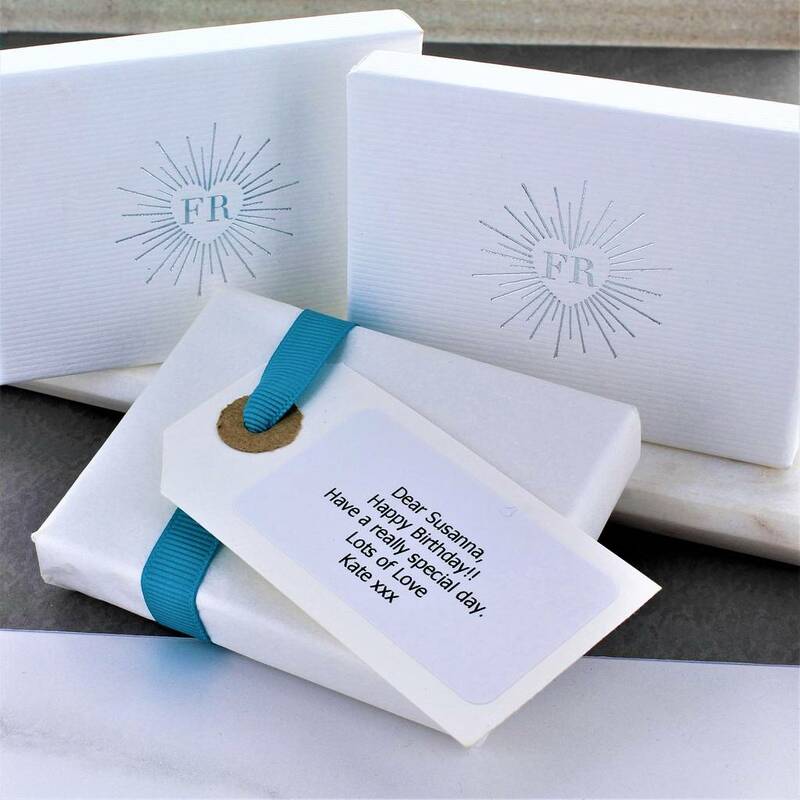 Each piece arrives in a beautiful White gift box with a contrasting silver logo. A free gift wrapping service is also available upon request. This product is dispatched to you by Francesca Rossi Designs.